In the gospels the concept of ministry personified by Jesus is diakonia, a ministry of service. Central to it is the self-emptying of power. [i] “Ministry transforms leadership from power over others to empowerment of others…The abdication of power over has nothing to do with servility. Rather ministry means exercising power in a new way as a means of liberation of one another.” [ii] This meaning of diakonia is important because it embodies the essence of Jesus’ teaching ministry. 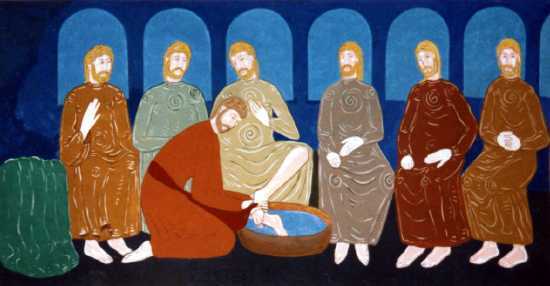 Integral to this ministry is a community of mutuality and equality, where “there is no difference between Jews and Gentiles, between slaves and free, between men and women, you are all one in union with Christ Jesus.” (Galatians 3:28) Footwashing, as enacted by Jesus, where the roles are reversed and the honoured guest acts as the servant is a demonstration of this equality. The jug, bowl and towel are now symbols of diaconal ministry. New converts who gathered for worship in house churches were led by both women and men. “It was recognized that different members of the community would receive different gifts and exercise different leadership functions, but in principle all members of the community had access to spiritual power and communal leadership roles.”[iii] One role was that of deacon. Acts of the Apostles (6) offers one record of the establishment of the early church diaconate. Faced with the competing demands of the responsibilities of supporting congregations and serving the needs of the outcasts and marginalized, the elders decided to divide the work into two streams. A group of deacons was established to do the latter work. Stephen, one of them, was soon killed for his political advocacy for the poor. Another of the deacons, Phillip, became a roaming evangelist; working on the edges of church development in new cultural settings. 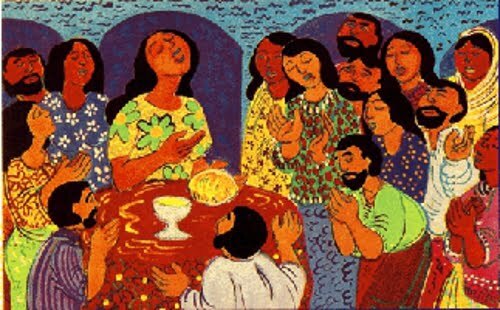 See presentation by Lutheran Deaconess Louise Williams on these images. Phoebe, a deacon at Cenchrae, was a leader to the whole community. When Phoebe is given the title diakonos it is the same word used by Paul to describe male leaders. However, the initial egalitarian respect for the different kinds of ministry gave way to stratification, elevating the priestly role and diminishing the work of deacons. In the 4th century the word ‘deaconess’ appeared for the first time as the ministry was given a rank below that of male deacon, which is ranked below bishop and priest. [v] As the church was becoming more institutionalized its organization reflected the patriarchy of society rather than the idealism of Jesus’ egalitarian gospel. Restrictions were placed on women deacons that only allowed them to teach other women, prepare women for baptism, visit the sick, poor, imprisoned, widows and orphans, and serve communal meals to the women. They were consecrated by the bishop and functioned as the vital connecting link between the bishop and the women of the congregation and community. By the fourth century, Constantinople had become the centre of diaconal work. It is recorded that John Chrysostom, bishop of that city, had forty deaconesses in his church. A most famous deaconess of that period was Olympias, (see icon below) a wealthy widow, who was known throughout Constantinople for her bravery and genius. Sometime around 600, the early diaconate, with its emphasis on service in the church and the world, began to disappear for women.The monastic life instead, became popular for women. In Constantinople, the office still formally existed until 1200. For men, the diaconate became transitional, enroute to priesthood. Men, not called to priesthood, also had the option of joining the monastic movement, which many did. Monasticism for women meant being cloistered, largely shut away from the world and under the control of hierarchical, usually male, authority. This was also true for male monastic orders, but more often they were allowed freedoms not permitted the women, and, had ministries of service in the world. Even though the deaconess order vanished for many centuries, uncloistered women’s communities, organized to carry out social ministry, appeared in many places. One such group was the Beguines, a movement spanning the 12th to 14th centuries throughout Western Europe. The women lived in community, without any permanent vows, dedicated to a life of discipleship among the poor. But these women constantly threatened the male hierarchy of the church. Many of these women were deemed heretics and persecuted as witches and the communities increasingly fell under the authority of men. A parallel movement,The Beghards was established for men during the same period. They held heretical views that challenged the hierarchy of church power and committed themselves to helping the poor. Some groups followed the rule of St. Francis. The Franciscan community established by Francis of Assisi had an order for women known as the Poor Clare. The original mandate and vision of the Clares was meeting and serving the poor in the world, like their male counterparts. But, against her wishes, Clare was put in a monastery by Francis, cloistered permanently into the confines of a house. This kind of domestication reinforced the idea that the normal expression of spirituality for women was focused on the home, not in the public sphere. [vi] While the monastic life was limiting for women, it did provide witness to alternatives for women and helped to support the development of women’s cultures. Monastic life flourished for women over many centuries. Around 1500, organized diaconal ministries, first for men and then for women, begin to arise in Europe, in both Anabaptist and Reformed traditions. It is in the 1800s though, when the social upheaval of the Industrial Revolution results in heightened need for humanitarian service, that the movement takes hold. At least for women. The diaconate for men sputters out just as the women’s movement begins to floursh. An emerging urbanized middle class, improved access to education and the desire of young women from middle and upper classes to play a significant role in the activities of their churches contributed to the revival of the office of deaconess. In 1836, a deaconess society was formed by Lutherans in Germany, and Theodor Fliedner and Friedrike Münster Fliedner began a training school and educational centre for deaconesses in Kaiserworth. The emphasis was on nursing and institutional work. Later in the 1800’s, the diaconate was also revived in Great Britain. In 1861 Elizabeth Catherine Perard, who had been trained at Kaiserwerth, became the first deaconess in the Anglican Church. In the British model, which influences the the Methodists and Prebyterians in Canada, there was no Mother House or hierarchical structure. The diaconate functioned as an association of independent women affiliated with one another. In England, deaconesses worked mainly in congregational settings. They often functioned as assistants to parish ministers, or worked in teaching or evangelism jobs. In addition, a large percentage of them did inner city work, functioning as Church-based social workers. The Orders grew rapidly. Read more about the diaconal movement in North America. 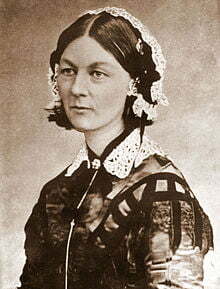 Florence Nightingale graduated from the Kaiserwerth School and was there exposed to its progressive nursing philosophy. She became a pioneer in the development of modern nursing. She was a Unitarian, although she attended the Church of England. She was never a deaconess, but worked in a diaconal tradition. [i] Some of this text is drawn from The History of Diaconal Ministry, pamphlet prepared by Ministry Personnel and Education, The United Church of Canada, 1987. Click here for the full text. [ii] Elizabeth Schussler Fiorenza, in Women of Spirit, ed. Rosemary Ruether and Elaine McLaughlin, Simon and Shuster, 1979, p 32. [iii] Elizabeth Schussler Fiorenza, In Memory of Her, Crossroads Publishing, New York, 1983, p 286. [iv] Women of Spirit, p 36. [v] Alvin J. Schmidt, Veiled and Silenced: How culture shaped sexist theology (Macon Georgia Mercer University Press, 1990) 216. [vi] Grace Jantzen, Power, Gender and Christian Mysticism, 160.